There is no disputing the beauty of fall. Gardens slowly become infused with beautiful shades of red, yellow, and orange signaling the end of another season. 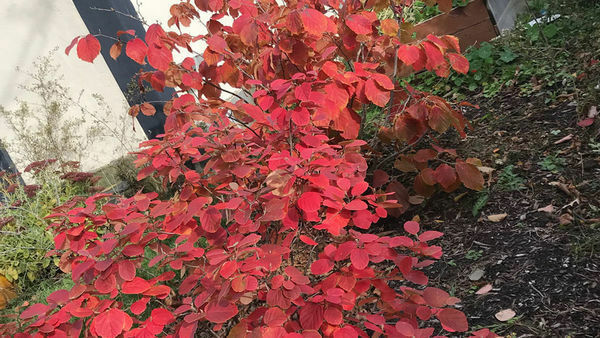 There is a color, however, just one notch over from red on the color wheel, that can be a gardener’s best friend in fall: red’s rosy relative—pink. For many, pink evokes a range of emotions. 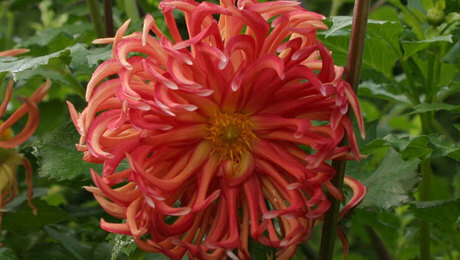 During the height of summer, this unassuming blushlike hue can be overshadowed by the riot of other colors. But later, in fall, pink can become a standout focal point. That’s because pink is a color you just don’t expect in September, October, or November, so your eye is instantly drawn in its direction. This may seem like an unlikely color to add to the autumnal mix, but it blends in beautifully with traditional fall favorites while giving any vignette a strong visual punch. 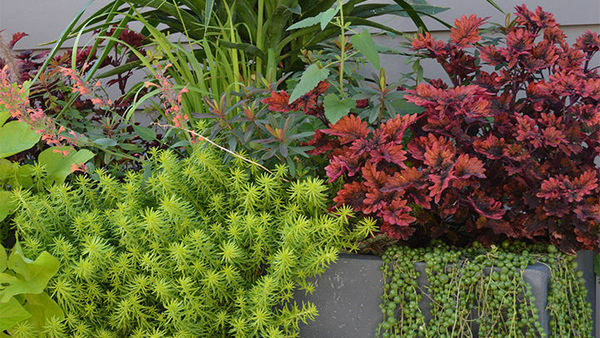 Here are some of my favorite pink plants for fall. ‘Sheffield Pink’ mum has stood the test of time. 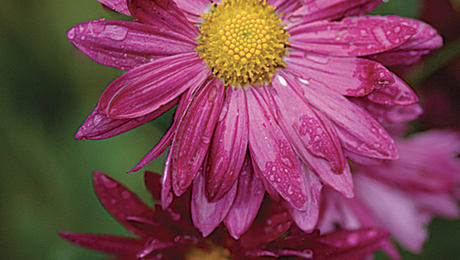 Sometimes listed as just ‘Sheffield’, ‘Single Apricot’, or ‘Hillside Pink Sheffield’, this hardy mum has lovely, soft green foliage and dark burgundy stems in spring and summer. 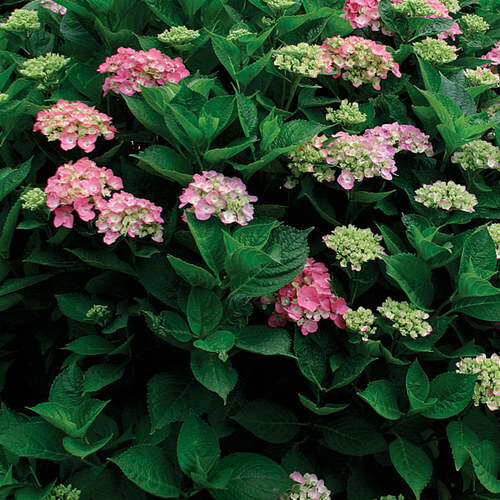 In early fall, it sports cute pink buds, which eventually detonate into 3-inch-wide, peachy pink blooms in midfall. 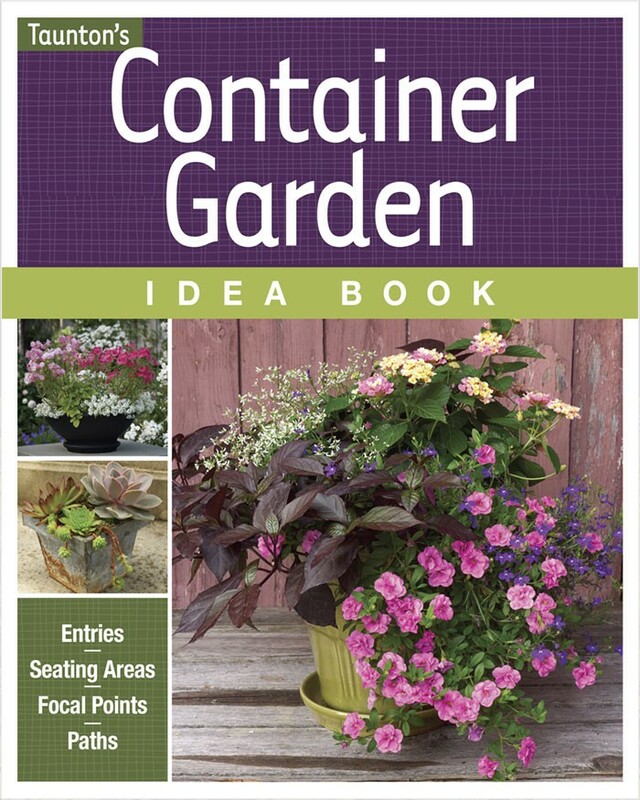 The perfect companions are ‘Little Joe’ Joe Pye weed (Eutrochium dubium ‘Little Joe’, Zones 3–9) or a purple-blooming aster (Symphyotrichum oblongifolium cv., Zones 3–8), each of which mixes well with the floral display of ‘Sheffield Pink’. 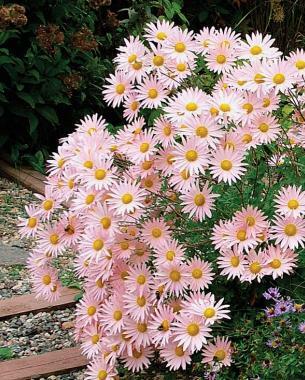 To keep this mum looking tidy, cut back the stems several inches after the first flush of growth to encourage a compact habit and to increase flowering. 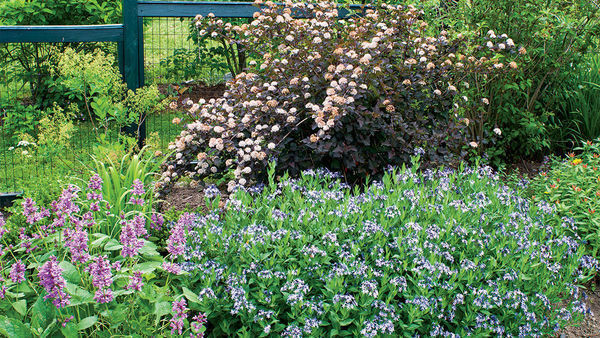 Shade loving and adaptable to wet sites, this compact evergreen shrub is fairly new to the gardening world. 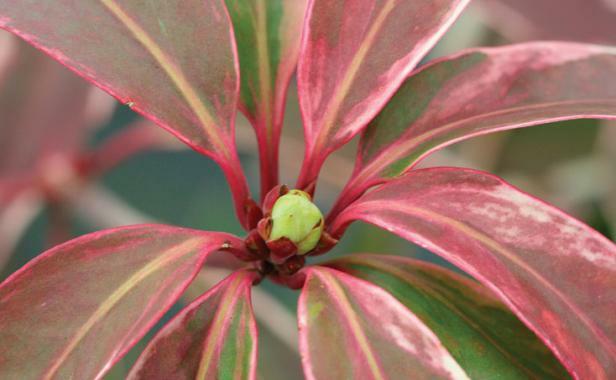 ‘Pink Frost’ small anise tree has pencil-thin white variegation around the edge of each leaf and small, deep ruby red flowers that appear in midspring. Its four-season character is highlighted with the advent of cold weather, when the green leaves develop beautiful pink hues. Another noteworthy trait of ‘Pink Frost’ small anise tree is its sturdy stems, which hold the foliage upright even through moderate snowfalls. Also, deer tend to avoid this plant. Due to its similar conditional prefer­ences, ‘Ruby Spice’ summersweet (Clethra alnifolia ‘Ruby Spice’, Zones 3–9) makes a great cohort. As other deciduous shrubs start to fade with cooler temperatures, American beautyberry hits its stride. A curveball from the common purple- or white-fruited cultivars is ‘Welch’s Pink’. 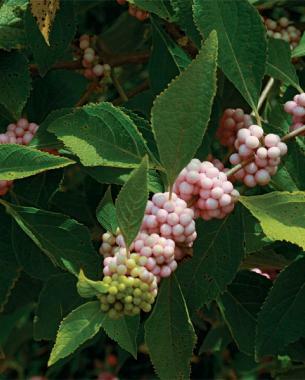 Gobs of cotton candy–colored berries cling to each stem of this shrub from early to late fall. 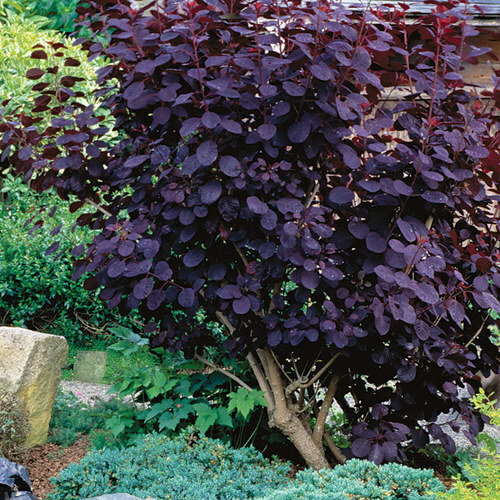 The fruit color fades in full sun, so give this shrub some afternoon shade. 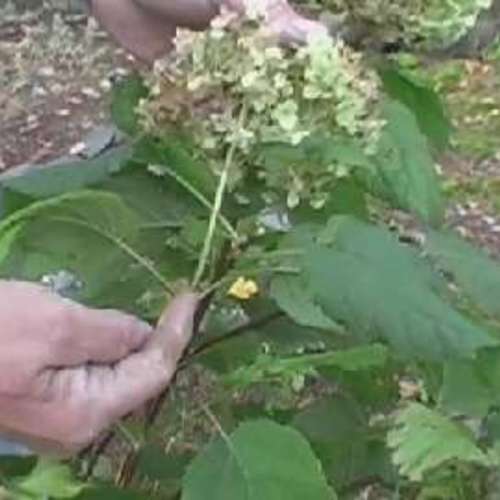 ‘Welch’s Pink’ is best placed among other large shrubs, like oakleaf hydrangea (Hydrangea quercifolia and cvs., Zones 5–9), which help support its fruit-laden stems. American beautyberry sports sprays of bright green foliage in spring and summer and likes to be pruned back to 6 inches in late winter or early spring. 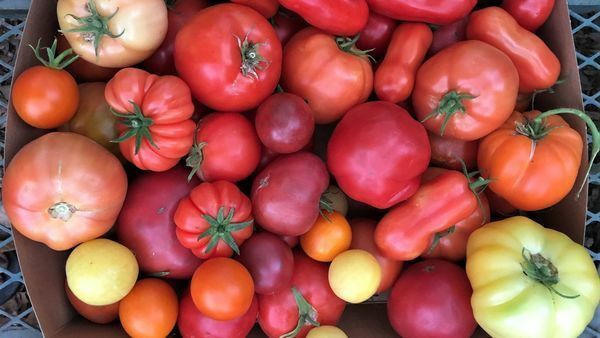 Striking en masse, this North American native continues to rise in popularity—and for good reason. 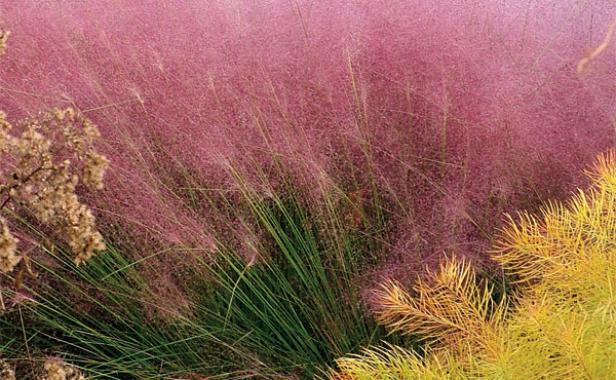 Although pink muhly grass can be rather drab looking during the growing season, its inflo­rescences form soft clouds of pink in fall. 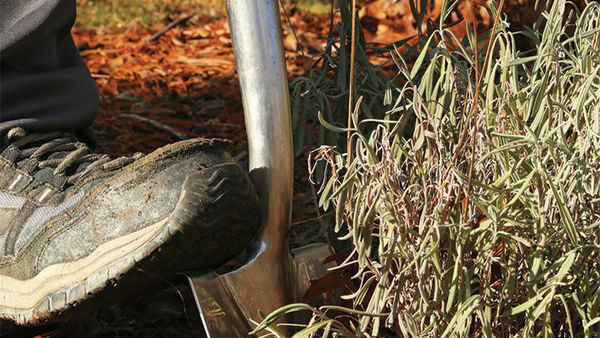 This plant falls into the category of “worth the wait.” To ensure winter hardiness, plant this ornamental grass in spring so that it has time to get fully established. Companions abound, but my favorite is any long-blooming shrub rose with a complementary bloom hue, such as Pink Meidiland® rose ( Rosa ‘Meipoque’, Zones 4–9). 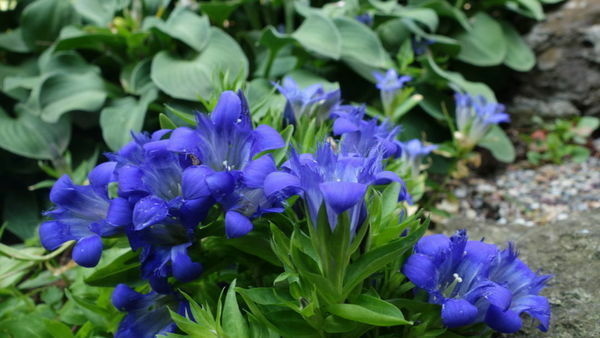 If you type the name of this plant into an online search engine, you might think the photo results have been doctored. 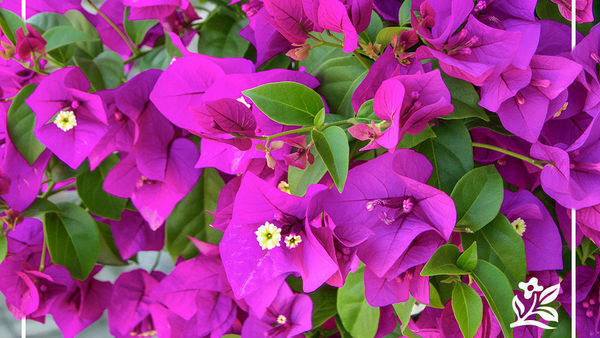 This is truly one of the most eye-catching, neon pink plants you can get for late-season masses of shocking color. 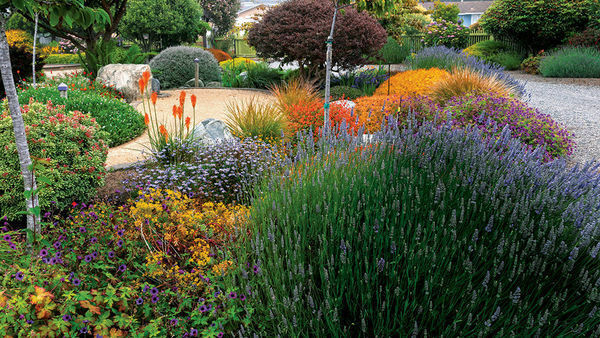 Because you don’t want any surrounding neighbors to compete with its unique blooms, I like surrounding ‘Neon’ sedum with perennials that complement its foliage during the growing season, like ‘Elijah Blue’ blue fescue ( Festuca glauca ‘Elijah Blue’, Zones 4–8) and ‘Walker’s Low’ catmint ( Nepeta racemosa ‘Walkers Low’, Zones 4–8). 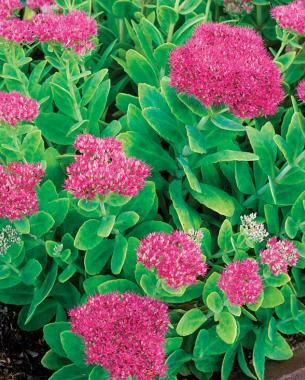 This sedum is a rock-solid hardy perennial in almost every region of the country. To encourage stout stalks and a later bloom time, I like to cut it back by half early in the growing season. 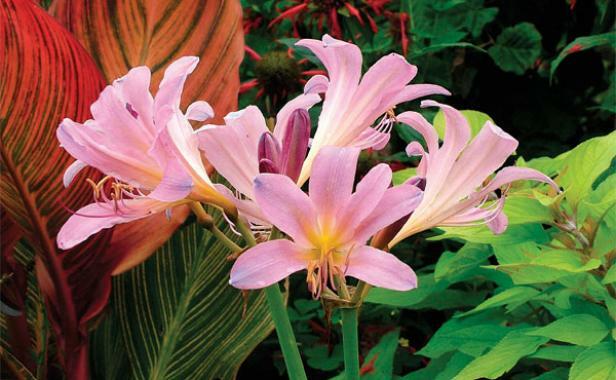 True to its name, surprise lily jumps from the ground sometime between late summer and midfall. Lycoris squamigera is a true pink, while L. radiata —which you might also see in nurseries—is a red that eventually fades to pink. Morning sun and light afternoon shade will lead to the longest-lasting flowers. 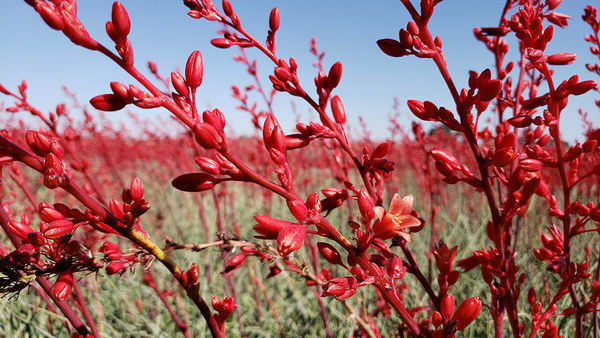 This plant has no foliage to speak of, and its beautiful blossoms are perched atop long stems. 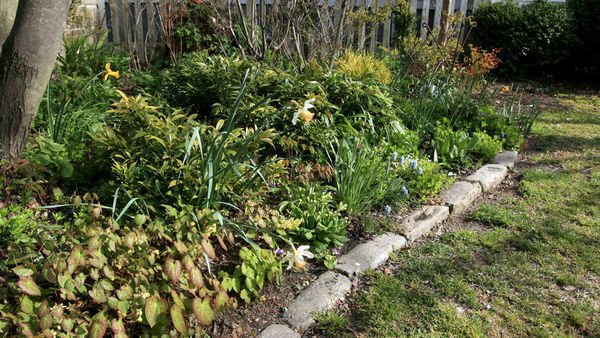 To hide those bare legs, I like to pair surprise lily with billowy ground covers, like ‘Angelina’ sedum ( Sedum rupestre ‘Angelina’, Zones 6–9) or ajuga ( Ajuga spp. and cvs., Zones 3–9). 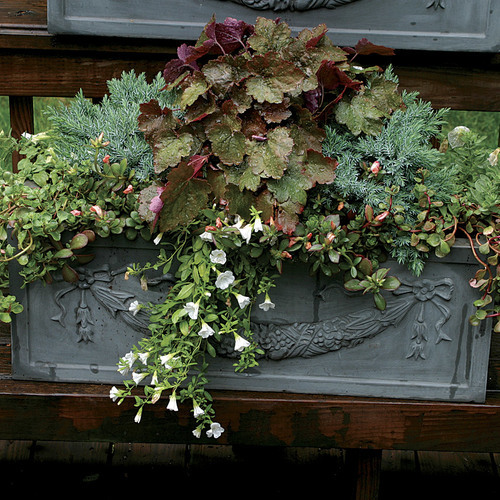 possibly from lady’s mantle ( Alchemilla mollis , Zones 4–7) or ‘Blue Cadet’ hosta ( Hosta ‘Blue Cadet’, Zones 3–9)—will offset the leaf color of ‘Electra’ well. 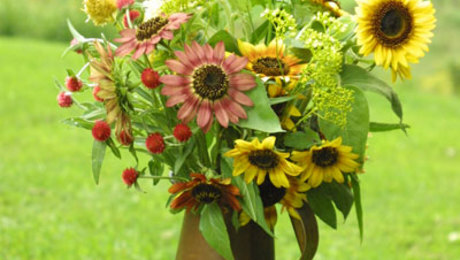 If you plant this beauty in your garden, you’ll possess an unrivaled conversation piece. Pink velvet banana is a hardy plant that forms a multistemmed colony. 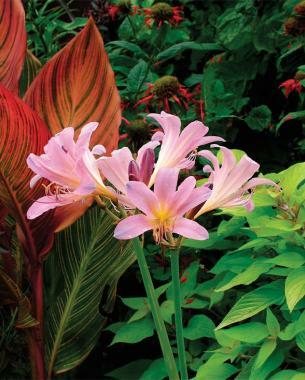 Its broad foliage resembles that of cannas during spring and early summer. To highlight its bold form, I like to pair it with fine-textured Arkansas bluestar (Amsonia hubrichtii, Zones 5–8). 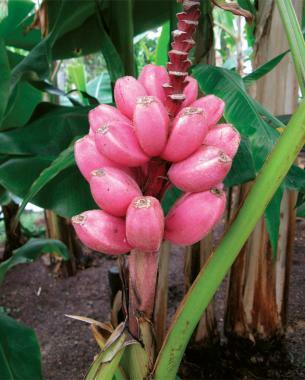 From late summer through late fall, this banana gets large, highlighter pink flowers, which transform into finger-size fruit covered in vibrant pink velvet. 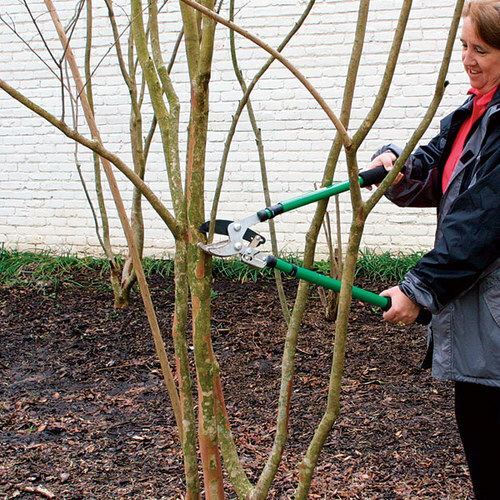 For those living in the cool end of its zones, you may want to mulch the plant heavily in winter until it gets fully established to ensure its hardiness. This small tree is anything but commonplace, but if more people knew how wonderful it is, it would surely gain in popularity. 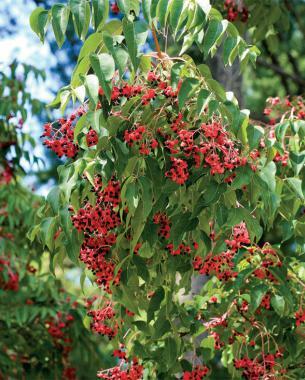 Its dark, emerald green leaves and rosy pink fall seed heads make Korean sweetheart tree a late-season star. 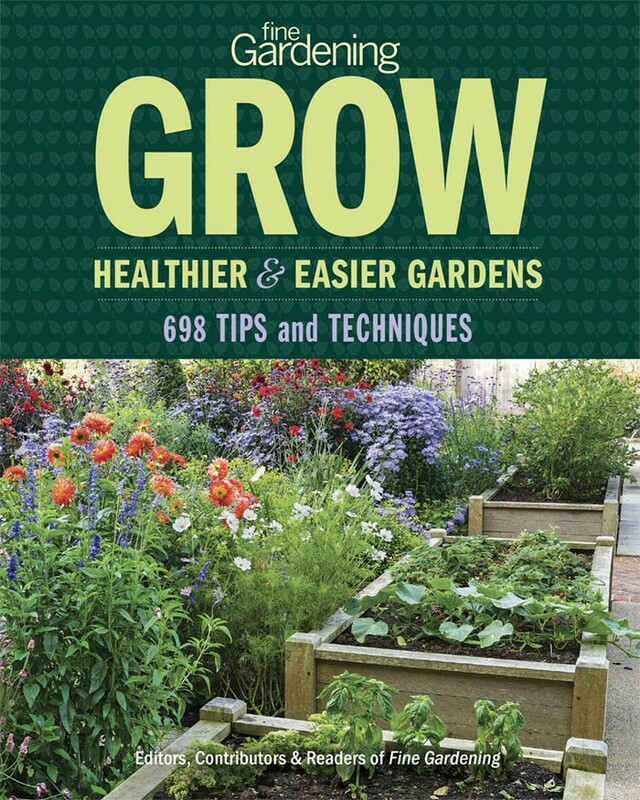 As fall approaches, showy heart-shaped capsules burst open to reveal shiny, bluish black seeds, which persist for several months. Although spectacular in fall, this tree offers year-round appeal: In late spring, attractive sprays of yellow flowers appear; in winter, the mocha-colored bark with pronounced white stripes is stunning. Because every part of this tree is beautiful, you won’t want to obscure even its trunk, so flank it with medium-size ornamental grasses, like ‘Morning Light’ miscanthus (Miscanthus sinensis* ‘Morning Light’, Zones 4–9). An uncommon plant in most gardens, this tree-form euonymus sports an amazing autumn display. 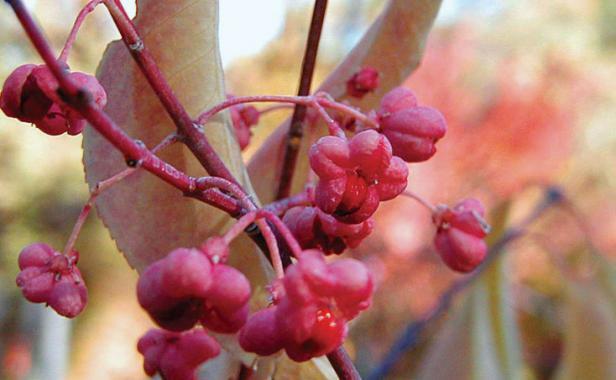 Best reserved for the back of a border, ‘Pink Lady’ winterberry euonymus is rounded with a pendulous branching habit. Unusual pink seed capsules burst open in fall to reveal reddish orange seeds. These late-season fruit are a favorite of many birds, but thankfully, deer tend to leave the entire plant alone. 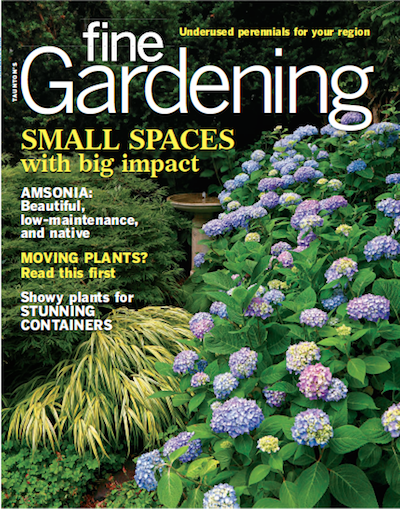 Plants with an informal feel that shine in late spring or summer (when ‘Pink Lady’ isn’t in its full glory) are an excellent match; my pick is panicle hydrangea (Hydrangea paniculata and cvs., Zones 4–8). Great article Andy! Where do you learn about Euscaphis japonica? JC Raulston Arboretum? I'm always pleasantly surprised to find any mention of a plant in an FG publication that includes zones 10 or 11 in its designation. 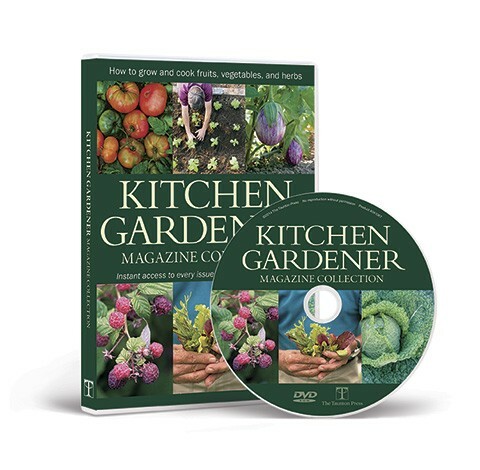 I know that it occurs much more often than I think it does, but would love to see some real articles about gardening in the frostless wasteland of the West. 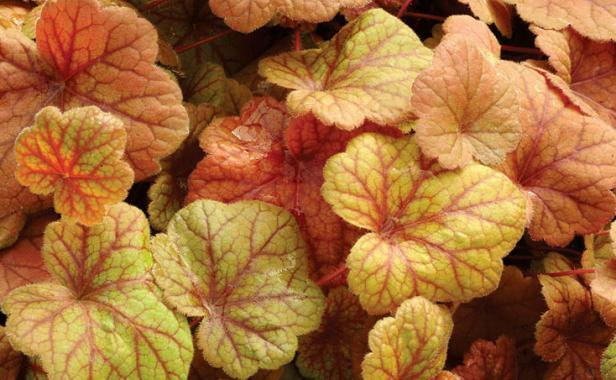 BTW, heucheras are growing like they don't know any better right here in my 10b front yard. 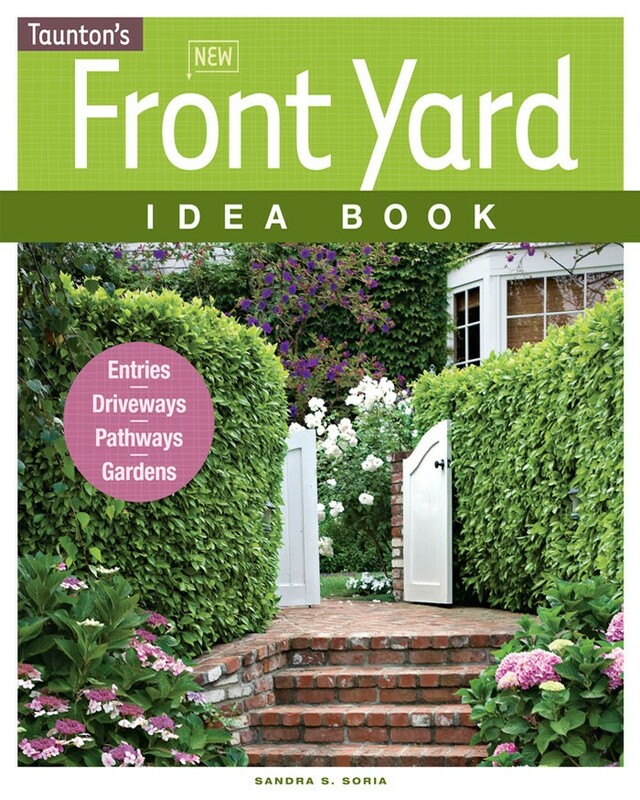 Mums end at zone 9??? 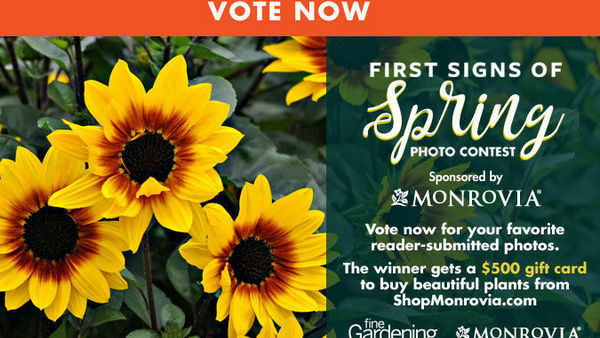 Please don't tell anybody else in Southern California that - we might have to stop growing them like wildflowers.